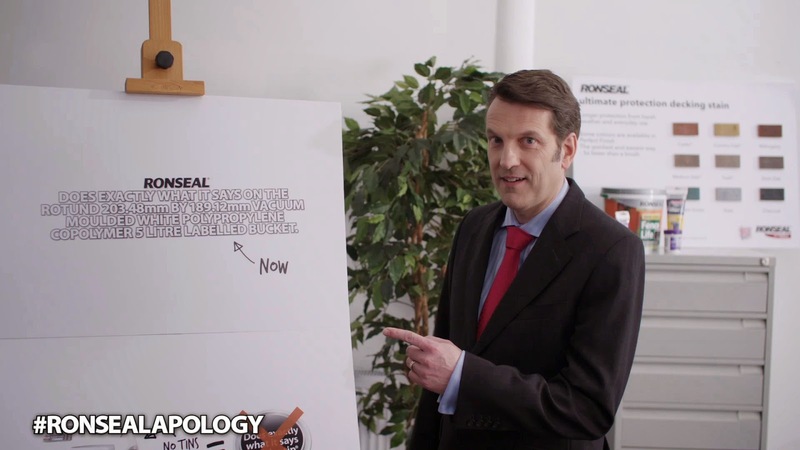 One of the nation's most loved DIY brands, Ronseal, is celebrating twenty-one years of its iconic slogan by, well, ditching it. Yes, synonymous with the strap line 'Does Exactly What It Says On the Tin' in order to represent the brand slightly more honestly, Ronseal have decided to change things up a little. The high quality of the brand's range of two-hundred products has always been a safe bet, but with Ronseal's products now coming in tubs, buckets, and tubes, eagle eyed Tweeters have pointed out the old strap line just wasn't doing its job. Ronseal Managing Director Martin Jones has stepped in to apologise for the confusion in this comic short (which you can see below). If you've got a better idea for the strap line join in the discussion with the hashtag #RonsealApology. Watch the short apology below and join in the discussion on social media. You can connect with Ronseal on Twitter, Facebook, and their official website.